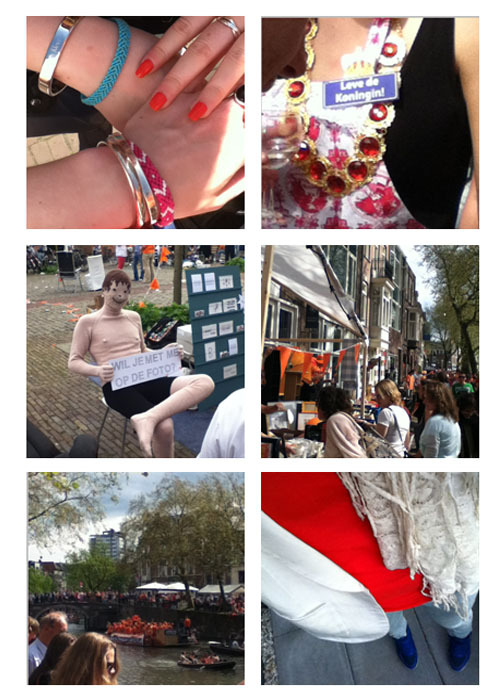 OK, Queensday was two days ago, but i did not have the time before to make this collage. But i did not want to let you miss out on this :). After days of rain suddenly there was a happy sun surprising us. That would have made the day successful already, but with adding meeting up with friends, the flee market, music everywhere, crazy dressed-in-orange crowd packing the streets and people showing the most creative initiatives to make some money, the day was just awesome! 6. Since there is no orange at all in my closet, i opted for Dutch-flag-style. The blue sneaker wedges came in perfect!